In my day-to-day career, I am a Vice President and Senior Financial Adviser for a Wall Street firm, and I spend most days helping my clients achieve their financial goals. In many cases, those clients are entrepreneurs who are acquiring or growing existing businesses, and they look to me to help them secure the capital resources they need to make their acquisitions possible. As such, I spend a lot of time with my team analyzing financial statements: both to look for anything unusual and to evaluate the likelihood of getting a deal done. It just so happens that I also happen to be a huge Chicago Cubs fan. The offseason is a very exciting time for me because I get to see clearly how on-field success translates into business success, business success feeds capital to baseball operations, and baseball ops then uses the capital to perpetuate the cycle through further on-field success. This is how I came to find myself, over the last few weeks, combing through all available financial information related to the business side of the Cubs, and trying to establish their profitability for 2015 so that I could ballpark their baseball operations budget for 2016 (which is a secret that’s seemingly held just as tightly as KFC’s mix of 17 herbs and spices). The results? Well, I found one thing that confirmed my suspicions (that the Cubs made a lot more money in 2015 than they ever have before), and one thing that shocked me (more on that later). Let’s dig in. Because the Cubs are a privately held, (mostly) family-owned company, they are not required to report their financial information, and it is necessary to patch together data from available sources, which canare quite often contradictory. For the purposes of this analysis, I have gathered data from Bloomberg, The Wall Street Journal, Forbes, CBS, Crain’s Chicago Business, ESPN, Baseball Reference, Baseball Prospectus, The Chicago Tribune, and Bleacher Nation. Every effort has been made to project the most realistic estimates of line items. The most consistently reported revenue projections come from Forbes, and are reflected in the table below. The sources of revenue are not detailed on their site, other than to break out gate revenue as a separate line item (which was estimated at $113 million for 2015). The figures in the table below represent my projections—an amalgamation of all available sources, interspersed with publicly available information (paid attendance figures, MLB national television contract, etc). My figures have not been confirmed by the Cubs. More information on sources and methodologies can be found at the bottom of the article. While Forbes’ estimate is relatively close to my figure, it’s not exactly the same, and I’m guessing that’s because the number they use for Gate Receipts is low. It is possible that Forbes did not include playoff ticket revenues, but the lack of detail makes it impossible to be sure. What is clear, though, is that their gate receipts number is light. My evidence for that? Well, simply divide the $113 million revenue Forbes reports by the paid attendance figures from 2015 (2,959,812). This calculation returns an average ticket price of $38.18. That sounds reasonable, except that we know from Wall Street Journal reporting that the Cubs average ticket price in 2014 was $44.16. Furthermore, according to Crain’s Chicago Business, the average ticket price at Wrigley Field increased by a little over two percent in 2015. That makes a $38 average ticket price seem low. More to the point, if we assume (charitably) that Forbes included playoff attendance in that gate receipts number, then the average ticket price would be pushed even further down—to $36.20. In reality, playoff tickets have a higher average ticket price than regular season games. Regardless of why the Forbes gate receipts number is wrong, it seems safe to assume that the revenue generated by gate receipts is at least $20 million higher than reported by Forbes. If we were to then accept the remainder of Forbes reporting at face value, it would jibe very well with the numbers I was able to aggregate from additional outside sources. The discrepancy is relatively small as a percentage of the total, but it is important: $20 million could mean the difference between David Price and, say, Scott Kazmir. The rest of the revenue projection is fairly straightforward and realistic. Once we’ve added in a reasonable revenue number for the playoff games (ignoring premium pricing, four extra games would be worth nearly $10 million), we all that’s left is to make a reasonable assessment of the Cubs sponsorship revenue. Considering that—per Bloomberg—the Cubs were generating $18 million in gross sponsorship dollars in 2013 (before the Jumbotrons or the Budweiser sign), it seems fair to use this level as a baseline and project incremental increases. The Budweiser agreement brought an additional $6.67 million per year over 2013 levels. The Jumbotrons are said to be capable of generating between $15 and $25 million per year by The Chicago Tribune. If we estimate conservatively, and assume that the sales team was not able to completely sell new media on the signs, we can still safely assume that the Jumbotrons added at least $10 million to the bottom line. It will always be difficult to identify the financial results of a non-public company, but there is sufficient evidence available to safely assume that the Cubs generated at least $322 million in revenue in 2015. And regardless of the exact revenue figure, the Cubs had a very good year from a financial perspective. That fact isn’t a surprise, and in itself isn’t all that interesting. As I delved further into the available information, however, I noticed a different trend that was very interesting, indeed. When we evaluate the performance of a business, one of the quick and dirty measures we like to use is EBITDA (some call it operating income, though the terms are not always exactly interchangeable). Basically, EBITDA (Earnings before Interest, Taxes, Depreciation, and Amortization) is the amount of money a company has left over after they gather up all of their revenues and subtract off payroll, cost of goods sold, office supplies, etc. It is the amount of money left after the company pays all of their regular expenses, but before they pay interest on any loans, taxes, and other deductions. It isn’t profit, because the bank and the IRS still have to be paid, but it gives you an idea of how successful the operations of that business were that year. EBITDA is especially useful in a situation where the business carries a lot of debt (as the Cubs do, and as detailed beautifully by Brett Taylor at Bleacher Nation here). It shows us how the Cubs are doing financially without having the numbers skewed by a huge debt service payment. Since the Cubs don’t publish their profit and loss reports or year-end financials, I have to rely on the only reputable annually-published Operating Income number, and that comes from Forbes. From 2007-2011, according to this data, the Cubs revenues averaged $230.8 million per year. During the same time span, their player salaries averaged $138.6 million per year. Using these figures, if we take total revenues minus player salaries, minus operating income (EBITDA), the remainder equals the expense required to run the organization (excluding player salaries). I have labeled that column Non-Player operating expenses (we love acronyms in my business, so let’s label that NPOE). This number averaged $67.76 million. Essentially what NPOE shows us is the cost to run the Chicago Cubs without considering the cost of the players. This column would include the front office, coaches, scouts, stadium vendors, security, parking attendants, insurances, grounds crew, etc. Since player salaries are published and reliable, the only figures that require a leap of faith are the Revenue and Operating Income figures. Even if they are not precisely accurate, assuming they are compiled via the same method each year, they are still useful to us, as they indicate the trend and we can evaluate year over year change. Remember, from 2011, NPOE averaged about $67 million a year. In 2012, Epstein’s first year with the Cubs, that number was fairly consistent with that trend at $76 million. The shocking part, though, is that after Epstein’s first season, when he had settled in and more fully implemented his plans for the team’s infrastructure, non-player operating expenses skyrocketed to an average of $110.9 million between 2013 and 2015, as seen below. Over the last three seasons, the Cubs have spent on average $40 million more per year to run the team (ignoring player salaries) than they did over the previous five seasons. What has changed? They haven’t quadrupled the number of hot dog vendors and groundskeepers, and the cost of borrowing gets taken off after they calculate EBITDA. It isn’t financial shenanigans, either, designed to meet the statutory EBITDA requirement from the CBA, because they would want to show more EBITDA, not less. So if the Cubs are truly spending on average $40 million more each year since Epstein came on-board outside of player salaries, and outside of borrowing costs for the renovation, what then can we take away from that expenditure? The Dominican facility reportedly cost $7 million, and the spring training facility in Mesa was a long-term investment of $99 million, but these would be considered Capital Expenditures (CapEx) and are typically deducted after EBITDA is calculated. Instead, the $40 million average annual spending increase appears to be the cost of building and operating a baseball organization “Theo’s way.” These hugely increased expenses appear to reflect the modernization of an organization that was spread too thin in the front office, lacked depth and talent in the scouting structure, and was woefully outgunned from an information technology perspective. The front office (led by Epstein, Jed Hoyer, and Jason McLeod) has been hugely expanded (Cubs.com currently lists 29 people in baseball operations). Those individuals are highly qualified, highly educated, and highly paid. The scouting apparatus has been completely redesigned and re-stocked, as has the international talent identification and development mechanism. These are the people making the decisions that affect the roster. Drafting, trading, player development, and promotion—all of these are areas vital to building an organization that is stocked with talent from the CEO level all the way down to the Dominican Summer League. Hiring these people, buying new technology, and instituting the processes the team uses for talent identification and development wasn’t cheap (as evidenced by the huge increase in organizational spending), but this extra investment is paying dividends already. The Cubs won 97 games with a roster of young, inexpensive, controllable future stars who will be around for the foreseeable future. Even better is the depth in the system—after promoting their top four prospects this season, the Cubs minor-league system is still the envy of most other teams in baseball. We, as Cub fans, should continue to see wave after wave of exciting talent each year. The people identifying and developing this talent are in their roles for the Cubs only because the Ricketts family decided to invest heavily in them. It is easy to envision the first meeting between Tom Ricketts and Epstein in 2011, when the idea of Epstein taking over the Cubs was first broached. Presumably, there was much talk about tearing it all down, and building it back up—but doing it the right way. I imagine that both men were in agreement (because this type of overhaul can only be undertaken if all of the stakeholders are on the same page) that it would require two things: time and money. I envision Epstein politely saying something like “If I’m going to do this, I have to be able to do it my way,” and Ricketts readily agreeing. The Ricketts family is nothing if not savvy, and I’m sure they realized that success on the field breeds success in the bank, which in turn feeds continued success on the field. It’s a beautiful, delicate, nearly impossible condition to achieve: the business side and the baseball side on equal footing, each existing to serve the other. It requires patience, hard work, humility, and a dedication to the organization over one’s own goals. Most importantly, though, it requires two things: time and money. Right now, the Cubs have both. (1) MLB Advanced Media, 2015.”Front Office.”, Cubs.com. (2) Bloomberg L.P., 2015. “MLB Team Valuations.”, Bloomberg.com. (3) Forbes.com LLC, 2015. “Chicago Cubs.”, Forbes.com. (4) Brett Taylor, 2014. “The Chicago Cubs Financial Story: The Payroll, the Debt, and the Syncing of Baseball and Business Plans.”, BleacherNation.com. 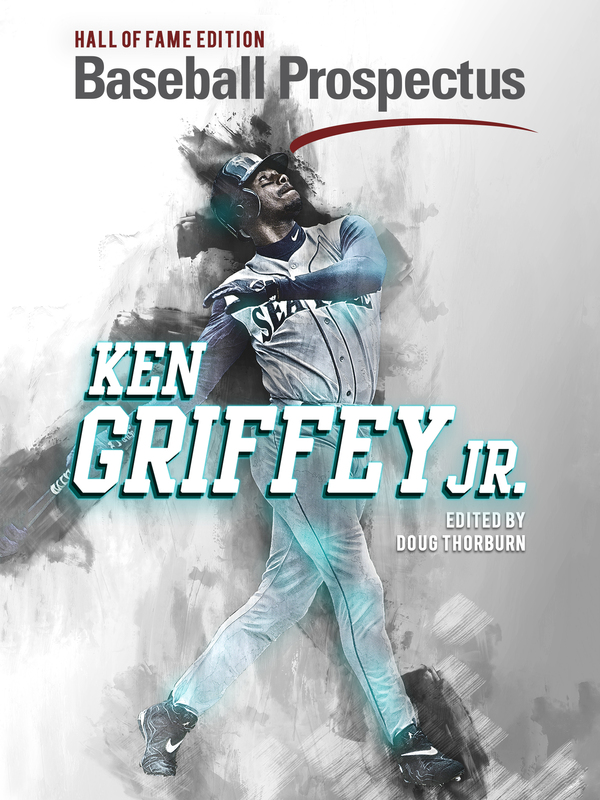 (5) Baseball Prospectus LLC, 2015. “Chicago Cubs.”, Cot’s Baseball Contracts. (6) ESPN Internet Ventures, 2015. “Chicago Cubs 2015 Player Salaries and Team Payroll.” ESPN.com. (7) Sports Reference LLC, 2015. “2015 Chicago Cubs Batting, Pitching & Fielding Statistics.” Baseball-Reference.com. (8) Robert Feder, 2014. “Why WGN Radio Lost the Cubs.” RobertFeder.com. (9) Bruce Levine, 2015. “Levine: Cubs, WGN Reach Multi-Year TV Deal.” CBS Chicago. (10) Robert Channick, 2014. “WBBM to be Cubs’ New Radio Home.” The Chicago Tribune. (11) Richard Babock, 2014. “Why Wrigley Field is Suddenly So Empty.” WSJ.com. (12) Mark Newman, 2012. “MLB Has Reached an Eight-Year TV Agreement with Fox, Turner Sports.” MLB.com. (13) Danny Ecker, 2015. “Chicago Cubs Officially Re-Sign with WGN-TV for 45 Games.” Crain’s Chicago Business. (14) Danny Ecker, 2015. “Cubs To Unveil Hornitos Hacienda at Wrigley Field.” Crain’s Chicago Business. (15) Paul Sullivan, 2014. 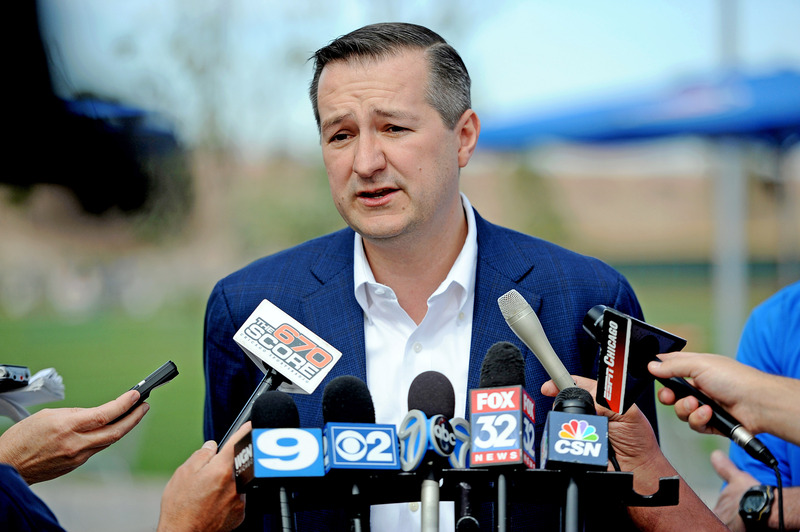 “Tom Ricketts expresses optimism — yet again.” The Chicago Tribune. Lead photo courtesy Joe Camporeale—USA Today Sports. Jeff Lamb is a financial professional with over ten years of experience. 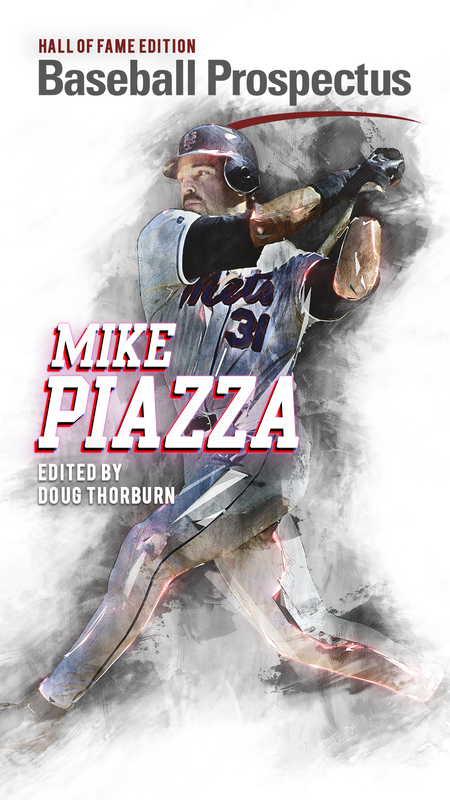 Occasional baseball writer and novelist. This read like a breeze, partially due to working with investors (though on the realty side: 1031’s, rehabbing/reselling etc. ), but just from a fans pov it was an enjoyable read. Thanks for taking the time, enjoyed. If ya ever make it to Austin give a holler, first rounds on me. Thanks, Sean. I appreciate it. I hear Austin is amazing. One thing you didn’t comment on was the exponential increase in EBITDA from 2014 to 2015. Is that because the debts haven’t been serviced yet, and thus current FY EBITDA will decrease in time? No… debt service is the “I” in EBITDA- it gets deducted after calculation. The reason for the huge jump is increased revenue over (mostly) static operating expenses. The first section details the revenue, but it’s increased ticket sales, new television partners, playoff revenue, new advertising media, and new contracts with existing sponsors (mostly Budweiser). EBITDA is up because revenues are up… they are very effectively monetizing Wrigley Field. Jeff, great article. Very informative. Any comments on how the financing structure demanded by Zell are still affecting payroll? Thanks. This is an interesting question, and one that I’m not sure is so straight-forward. As you know, Zell required formation of a partnership (on paper) that is possibly about to get blown up by the IRS (irrelevant to this discussion). In so doing, he contributed the team and stadium, and the partnership borrowed against the assets to “withdraw equity”. By taking on debt that they otherwise would not have, the Ricketts were able to keep the cash that they would have spent to purchase the team in their pockets. I assume that they would have been capable of paying cash for most, if not all, of the purchase price of the team (otherwise MLB likely wouldn’t have approved the sale). If that assumption is accurate, then the Ricketts still have hundreds of millions either in equities markets (which are much higher than they were when the family bought the team), or deployed in other business ventures (though I guarantee that their lenders require them to keep a certain amount of capital liquid as a condition of loans- SOP). So, then, the debt that they are carrying has been refinanced at least twice at lower at lower rates (I would imagine their net effective borrowing rate on the entire package is under 3.5%, certainly), and the cash that they would have used is earning some rate of return while deployed into other products or securities (remember that the Ricketts also own an investment company called Incapital). Assuming that the cash they would have used to purchase the Cubs in an all-cash transaction was invested wisely, is it possible then, that being forced into borrowing for the purchase of the team has been a net positive to the Ricketts (and therefore the Cubs) bottom line? They bought the team for $850 million. It’s now worth $1.8 Billion. If they were able to use money borrowed at 3% to earn that rate of return, and earn something more than 3% on the money they would have otherwise spent to purchase the Cubs in cash, then they are borrowing for free and profiting with every dollar of return above the cost of borrowing. So, then, it’s possible that the borrowing costs are having no impact on payroll other than the fact that payroll has to be made using “Cubs” money, not “Ricketts family trust” money. This is a real concern, but one that could be addressed with shareholder loans, debt reassignments, etc, if desired. The stadium renovations seem to be financed by the Ricketts family, so I assume those borrowing costs are not affecting payroll at all. The cost of borrowing for the existing team purchase debt would be under $20 million, in my opinion (contrary to what many have reported.) This expense would have a minimal impact on salary because it is deducted after EBITDA and therefore MLB won’t get all upset about it. As long as they keep increasing revenue (which they are proving to be very good at doing), the impact will continue to be less and less. If we consider the Rickett’s position, though, I would assume they don’t care a bit about the debt service. If the Cubs are paying $20 million in debt servicing fees, but the money they would have spent to buy the team earns them $40 million per year, then they’re net positive $20 million AFTER the cost of borrowing, AND they still have their cash invested in other projects, AND the team has appreciated to the point where the equity makes the borrowing look like low leverage. They would be having their cake, eating it too, and then also eating my cake and your cake. I would submit this theory as not only likely, but probable. The question to be answered is how much cash would they have spent on the purchase of the team if borrowing were not required. If the answer is they would have paid it all in cash, then I’m surprised they can ever talk to anyone without laughing about how they crushed this deal out of the park. I’m glad he asked. The business side of baseball is fascinating and half the fun of sports. There is a special spot in Hell reserved for Zell! However as a Cub fan, no greater thing could have happened. I think it’s worth noting that this investment in improved infrastructure was balanced by a reduction in player salaries. Short of the 2012 contracts Theo inherited, payroll was reduced by $51mm in the three subsequent years while NPOE increased by only $42mm. In 2013 alone the salary dump covered a little over 85% of increased expenses… and it stands to reason they weren’t expecting the bump in revenue which in turn generated a positive income comp. Lester is the big contract on the books right now with $125mm over next five years before team option/buyout. Bottom line that I find exciting is that while Theo & Jed have some nice trade pieces they’ve certainly expanded the opportunity to bump their payroll back up with one or two key signings this off-season! Thanks for your time and effort in this piece! It would be interesting seeing how this model compares to other teams that have made franchise turnarounds in recent years, or even compared to Theo’s time in Boston, but that seems like a pretty sizable undertaking! Fantastic articles Jeff, thank you for the in-depth look. I’d love more of these around the CBA, Cubs new TV deal, etc. The topics fascinate me and you’ve done a great job distilling the issues to the core. Kudos.